MMS <space> HSTU <space> SSC Roll <space> SSC Registration Number <space> SSC Passing Year <space> First Three Letter of Your Board Name <space> HSC Roll <space> HSC Registration Number <space> HSC Passing Year <space> First Three Letter of HSC Board Name <space> Unit <space> Quata Keyword (if applicable) and Send it to 6969. After return SMS get BILL Number to pay free. Selected applicant Hajee Mohammad Danesh Science and Technology University (HSTU) admit card can download 22/10/2017 to 08/11/2017. 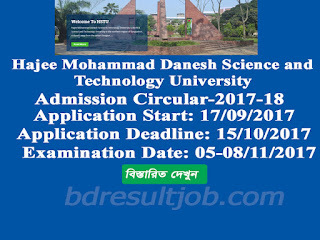 Tags: www hstu ac bd admission, bsmrau edu bd, Hajee Mohammad Danesh Science and Technology University (HSTU) Admission circular 2017-2018, HSTU Admission circular, HSTU Admit card download, HSTU seat plan, HSTU admissions test mark distribution, Hajee Mohammad Danesh Science and Technology University (HSTU) Admission circular, Hajee Mohammad Danesh Science and Technology University (HSTU) Admission test result 2017. 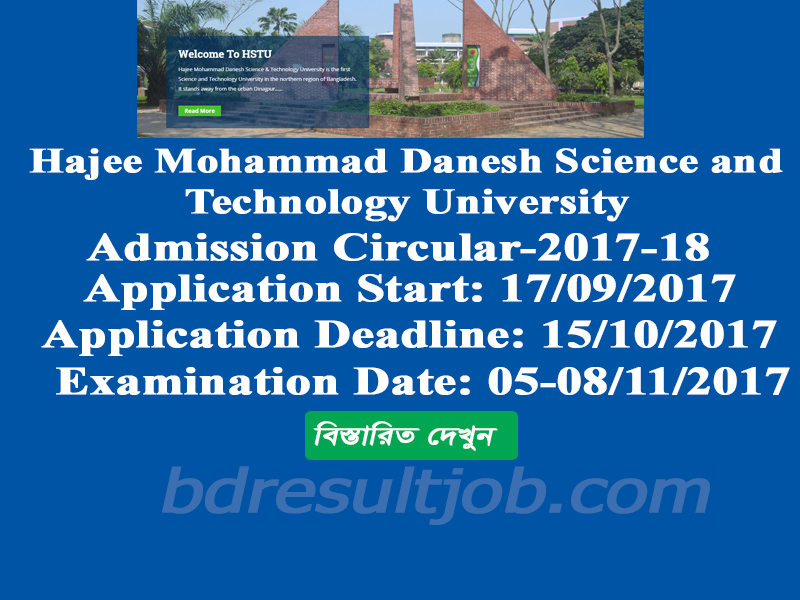 Hajee Mohammad Danesh Science and Technology University (HSTU) Admission circular 2017-2018,Hajee Mohammad Danesh Science and Technology University (HSTU) Admission test result 2017, HSTU Admit card download, HSTU seat plan, HSTU admissions test mark distribution.